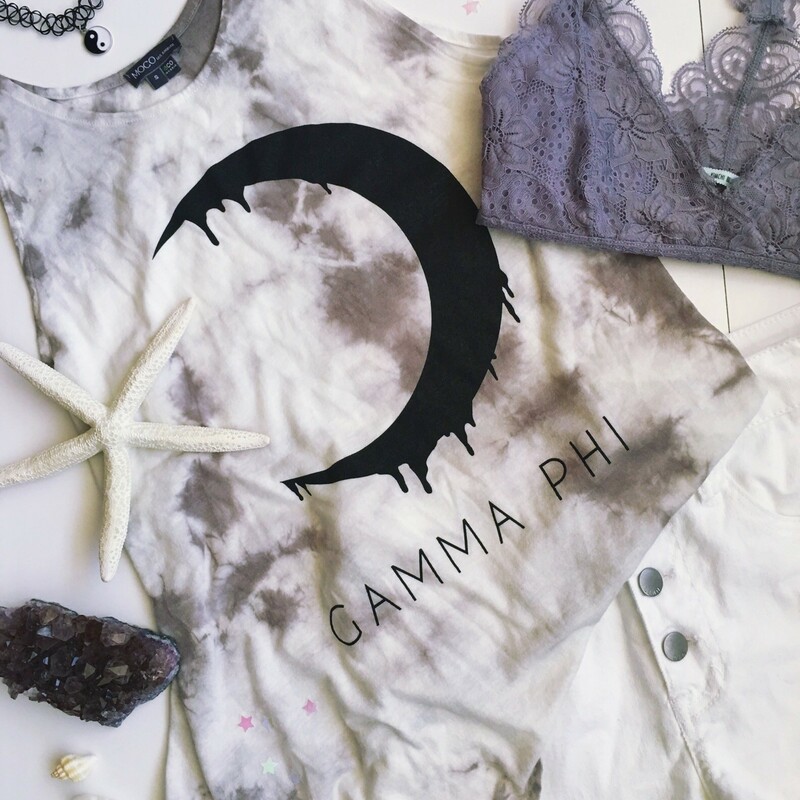 We love tie dye. A loose fitting high neck tank, shown in pebble. Features a 90's inspired dripping moon graphic.